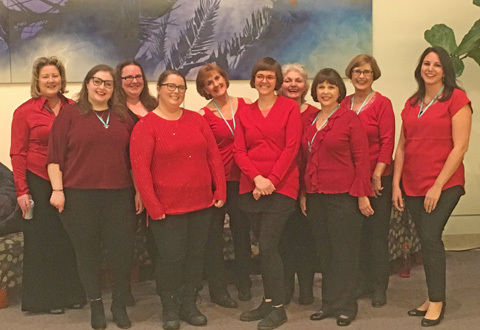 High Desert Harmony Chorus - Book Us! Do you have a holiday party, anniversary party, or any event coming up for which you need unique entertainment? People of all ages enjoy our music! What better way to celebrate than with song? High Desert Harmony Chorus has performed for many corporate and private parties. Let us perform at yours! To discuss what performance package works best for your event, please send an email to our performance manager with your contact information. A chorus member will contact you soon. Thank you for your interest!